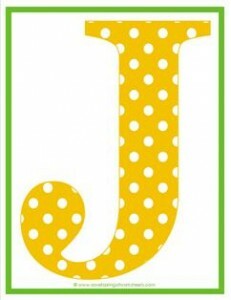 Shall we call this polka dot letters uppercase J “Mr. Jones”? He looks like he needs a name! How about Josh or one of my favorites -James. Or John or Joseph or Jake or Jamal or ??? Please go to this page to see all the uppercase polka dot letters in this set.